Growing up, Father’s Day was a “mixed bag” for Vance Taylor. When Taylor and a sibling were diagnosed with a debilitating disease at a young age, his father abandoned the family. In the years that followed, the annual June holiday represented a major gap in his life. On the other hand, Father’s Day allowed Taylor to celebrate his mother and a number of strong male role models in his life whose examples inspired him. 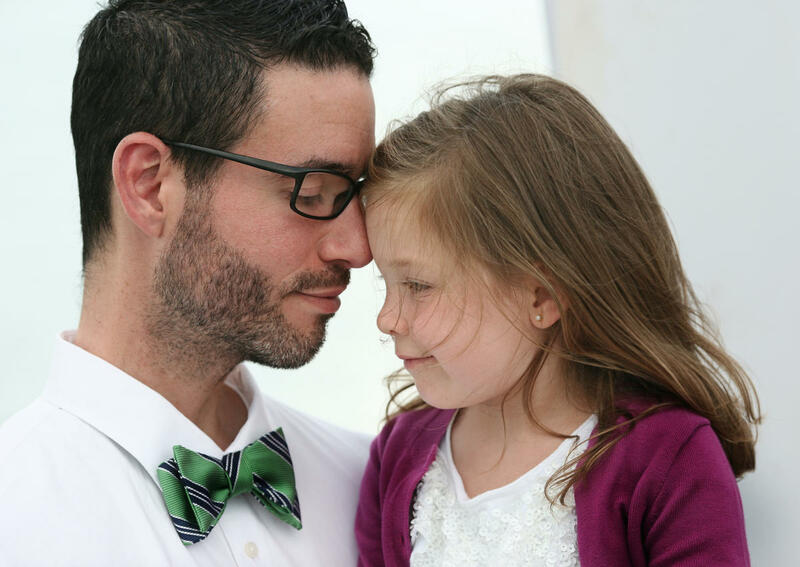 Today, Taylor is a husband and father of two daughters. Growing up without a father has helped prepare him to more fully appreciate his opportunity as a father. In commemorating Father’s Day, Taylor and his mother, Morena Merlos, discussed their experiences and shared insights related to the role of fatherhood. Several decades ago, Merlos met a handsome man in San Francisco. They fell in love, got married and had three children. Theirs was a happy home. “I thought our love and marriage would last forever,” Merlos said. Then daughter Kathy, age 9, and Vance, age 7, were diagnosed with muscular dystrophy, a disease that causes muscles to break down and weaken, often confining a person to life in a wheelchair. Their father couldn’t handle it.